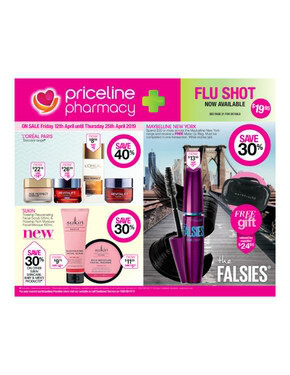 Priceline is Australia’s leading health and beauty retailer with stores in every state and territory. 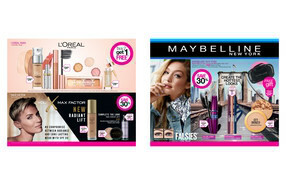 Shop online at Priceline to browse the latest weekly ads and e-catalogues for fabulous deals on over 20,000 products. From toiletries and vitamins to cosmetics and fragrances, you’ll always have plenty to choose from! At Priceline, give your loved one the gift of choice by sending them a Priceline Gift Card. Choose from any amount between $10 and $200, then pick one of several card designs to suit your intended recipient. Purchase online to send a digital gift card straight to your recipient’s email address and add a customised message for a more personal touch. For additional exclusive offers, connect your smart phone to Priceline’s in-store Wi-Fi network and start saving today! Once connected, select priceline_offers from the available networks and you’ll be automatically connected to the Priceline Instant App where you can browse exclusive deals. Select the offer you’d like and present your smart phone at the register to redeem. For more information about opening hours, store locations, and to browse the latest flyer, visit Shopfully website or app.